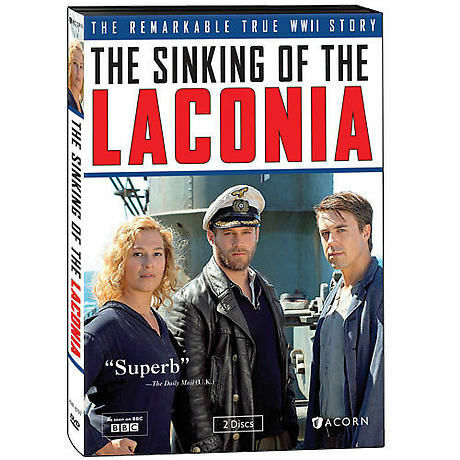 In September 1942, at the height of WWII, a German U-boat torpedoed the RMS Laconia, unaware that it carried more than 2,000 passengers. What followed is a harrowing true story of heroism, heartbreak, and humanity. The international cast incudes Ken Duken (Inglourious Basterds), Franka Potente (The Bourne Identity), Andrew Buchan (Garrow's Law), and Lindsay Duncan (Rome). A BAFTA-nominated mini-series seen on Ovation. 3 hrs, 2 DVDs, SDH. Mature audiences.